Excellent article in the Spring 2018 John Muir Trust Journal about Marine plastic pollution. 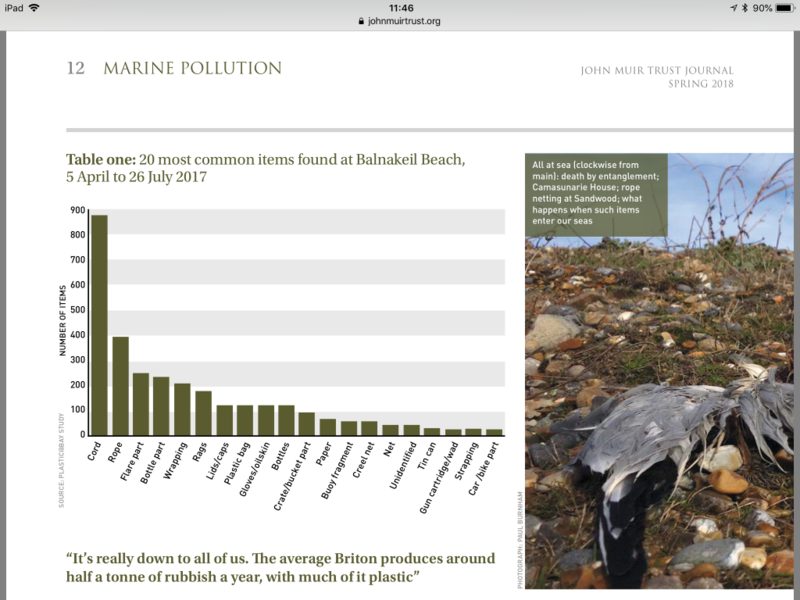 A very large fraction of the plastic debris washed up on West Coast beaches is from marine industries – see image below. Please make sure we don’t make it any worse! And it’s a good idea to have a carrier bag with you so you can pick up and remove whatever debris you can carry any time you’re on a beach.